2016 Season (Redshirt Sophomore): Missed season due to injury. 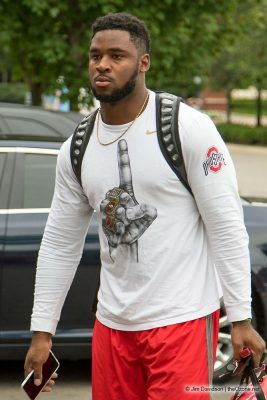 2015 Season (Redshirt Freshman): Darius Slade earned his first Varsity O letter in 2015 after playing in seven games for the Buckeyes … had a career-best 12 plays from scrimmage in the win over Rutgers and had 11 plays against both Virginia Tech and Michigan … he is majoring in hospitality management. More on Darius: Slade was a pleasant, signing day 2014 announcement that went Ohio State’s way as he signed made his college choice public late in the afternoon … Slade recorded 37 quarterback sacks for 126 yards in losses as a junior and senior and helped Montclair High School, coached by John Fiore, to consecutive 12-0 seasons and back-to-back New Jersey Group 5 state championships … his school has the distinction of being the first to claim consecutive state titles since the current New Jersey playoff system was implemented in 1974 … Slade had 67 tackles, including 23.5 sacks (and 35 total tackles for loss), as a senior and was named first-team all-New Jersey … he had 13.5 sacks and 46 tackles as a junior … considered one of the Top 20 senior prospects in New Jersey, a state with rich football talent … rated as high as the No. 30 strong-side defensive end by 247Sports and the No. 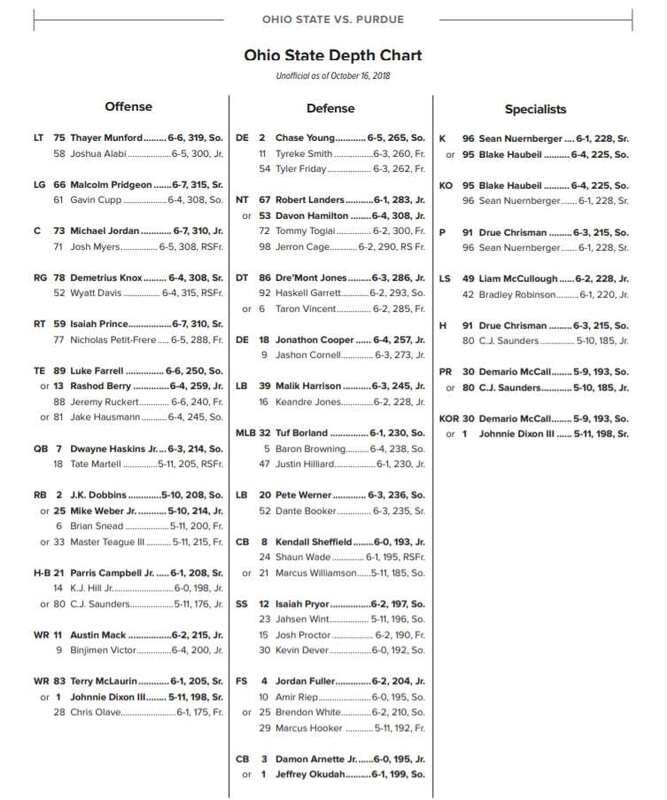 66 defensive lineman by Scout … Slade is the cousin of Jared Odrick, the Miami Dolphins’ veteran defensive lineman … Odrick was coached by current Ohio State assistant head coach and defensive line coach Larry Johnson at Penn State … Slade is the son of Kimberly and Dwight Slade.